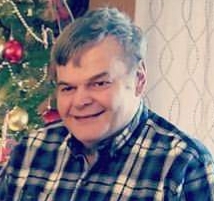 Eugene W. “Gene” Brown, 66, of Wapakoneta passed away at 12:21 a.m. Thursday April 4, 2019. He was born on September 18, 1952 in Lima, OH to Ferdinand & Dorothy (Steinke) Brown Jr. who preceded him in death. On November 24, 1973 he married Pamela “Pam” Rinehart ​who survives with their six children; Jason (Darcy) Brown of Springboro, Jeffrey (Megan) Brown of Jackson Center, Jennifer Brown of Springboro, Janna (Jon) Manning of Miamisburg, Justin (Trisha) Brown of Mendon, Jessica Brown of Springboro. ​Other survivors include: seven grandchildren, Lincoln and Camryn Brown, Ella and Isaac Manning, Ella, Emerald and Everett Brown; a sister Marie (Larry) Brown; a brother Tom (Tammy) Brown both of Wapakoneta; a mother-in-law Demetra Rinehart; several brothers and sisters-in-law and many nieces and nephews. He was preceded in death by a father-in-law George Rinehart. Gene was a 1971 graduate of St. Joseph High School. He was a lifelong dairy farmer and was a member of Ohio and National Holstein Association. He also worked at Agrana Foods in Botkins and was an avid Ohio State Buckeyes fan. Funeral services will begin at 10:30 a.m. Monday April 8, 2019 at St. Mark’s Lutheran Church, Clay Township with Rev. Bob Brown officiating. Burial will follow in the church cemetery. Friends may call from 2-4 p.m. Sunday at Schlosser Funeral Home & Cremation Services, Wapakoneta and one hour prior to the service at the church. In lieu of flowers memorial contributions may be directed to Hospice of Dayton.